Taking insurance policies for children have an emotional appeal for parents, who are easily lured into buying this product as they want to show their affection towards their children. Taking insurance policies for children have an emotional appeal for parents, who are easily lured into buying this product as they want to show their affection towards their children.Parents would not say ‘no’ to any product which ostensibly shows that they care for their children. Insurance policies for children are of two types: first, the traditional ones, and second, the unit-linked insurance policies (ULIPs). 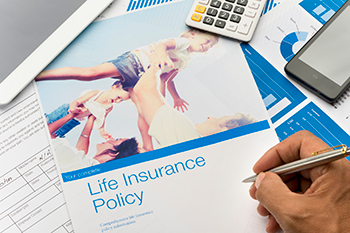 Within traditional policies, there are further two types: Endowment policies that offer lump sum payment on maturity, and Money-Back policies that offer pre-decided percentage of sum assured at fixed intervals during the policy tenure. The traditional policies offer returns in the form of bonuses and loyalty additions given by the insurer. The unit-linked policies invest in equity and debt instruments and, therefore, their returns depend on the performance of the markets. These policies offer the option to choose the percentage of equity and debt in the composition of the portfolio, so parents with higher risk appetite may choose higher percentage of equity in the portfolio, while parents with low risk appetite may go for higher percentage of debt in the portfolio. The children’s insurance policies either cover the life of the parent or the child. The policies covering the life of parent carry some specific riders such as premium waiver rider, which offers waiver on payment of future premiums on the death of the parent insured under the policy. The benefits of this policy accrue to the child on the maturity of the policy. Policies covering the life of the child do not serve the purpose of securing the child’s financial future because the child is not an earning member of the family. Children’s insurance policies serve the purpose of providing for the daily income needs of the child on the death of the earning parent, providing for the child’s financial goals such as education and marriage and providing health cover.